127 Via Veracruz is a split bedroom floor plan home situated on a corner lot in the center of Paseos. This three (3) bedroom, two (2) bathroom home is fitted with a large covered porch in the front of the home with landscaping that really compliments the exterior design. Inside, you’ll find hardwood flooring and tall ceilings, which make the interior feel open and airy. The kitchen features wood cabinets, granite counter tops, and a tiled back splash. The master bedroom has an elegant, coffered ceiling and access to the back patio. This home won’t last long, as it’s well maintained and practically ready to move in, so book your viewing appointment with a Distinct Estates agent today! For more information on 127 Via Veracruz in Jupiter, contact one of our dedicated Distinct Estates agents to see homes in Paseos or in other parts of South Florida. 127 Via Zamora is a spacious family home, located in Paseos. Inside this four (4) bedroom, three (3) bathroom home is wood flooring and high ceilings. The kitchen features stainless steel appliances, granite counters, and a tile backsplash. Upstairs, the master bedroom has an extended den area and a large bathroom with a roman tub. The patio is fitted with a summer kitchen and covered area for outdoor dining. This home won’t last long so book a viewing appointment with a Distinct Estates agent today! For more information on 127 Via Zamora in Jupiter, contact one of our dedicated Distinct Estates agents to see homes in Paseos or in other parts of South Florida. Situated on a tropically landscaped, oversized lot in Paseos is 129 Via Bosque. This four (4) bedroom, four (4) bathroom home has custom features like a tile inlay in the foyer and diagonally set tile. The kitchen features granite counter tops, stainless steel appliances, and a small, built-in desk area. The best feature of the home is the screened in patio with a pool and spa, as well as, a summer kitchen. This large patio has plenty of space for outdoor dining and living area. Another great addition is the privacy in the large back yard, which is covered with lush plants and trees. With a recent price reduction this Paseos home won’t last long! For more information on 129 Via Bosque in Jupiter, contact one of our dedicated Distinct Estates agents to see homes in Paseos or in other parts of South Florida. There has been a recent price change at 182 Via Veracruz, located in Paseos. 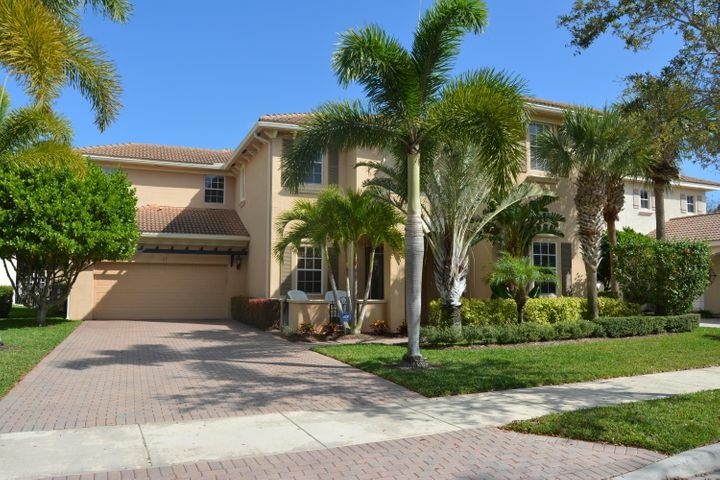 This five (5) bedroom, five (5) bathroom, Jupiter home is situated with a lakefront view and native landscaping. The interior includes custom window treatments and wood flooring throughout. The kitchen has been renovated with custom wood cabinetry, granite counter tops, and a large center island with bar seating. 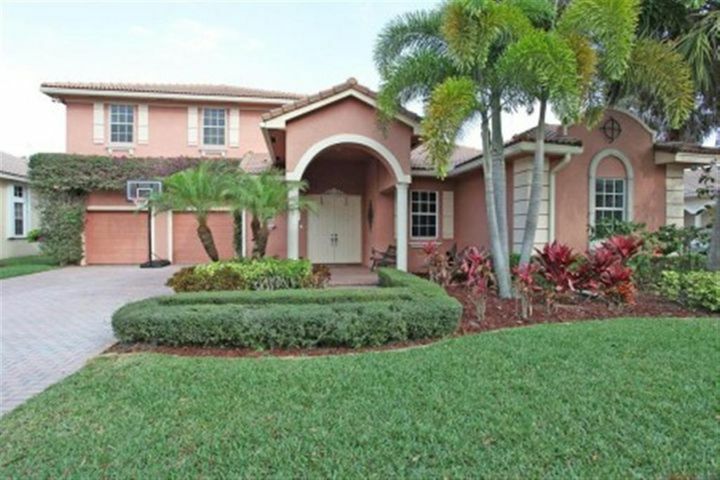 Outside sits a fenced in patio area with a modern style pool and spa, as well as a covered lanai. This Paseos home won’t last long at its new price of $789,000, so book you’re viewing with a Distinct Estates agent today! 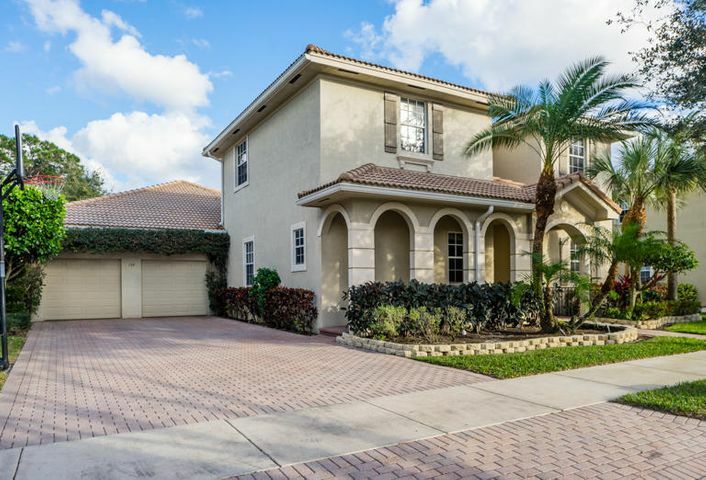 For more information on 182 Via Veracruz in Palm Beach Gardens, contact one of our dedicated Distinct Estates agents to see homes in Paseos or in other parts of South Florida. Recently redesigned is 134 Via Catalunha, a six (6) bedroom, four (4) and a half bathroom home, located in Paseos. The interior has an open floor plan with wood grain tile throughout, making a seamless transition to each room. The kitchen features a large island with quartz counter tops, stainless steel appliances and a Teppanyaki Hibachi grill! Outside on the screened in patio, lies a salt water, heated pool and spa. Additionally, there is a summer kitchen. This features is great for entertaining outside in the beautiful south Florida weather. 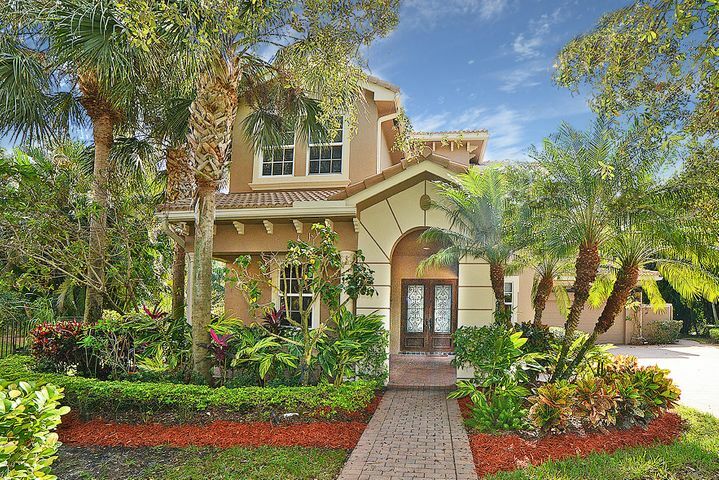 This custom home is in the heart of Jupiter, just minutes from Juno Beach and Harbourside Place. 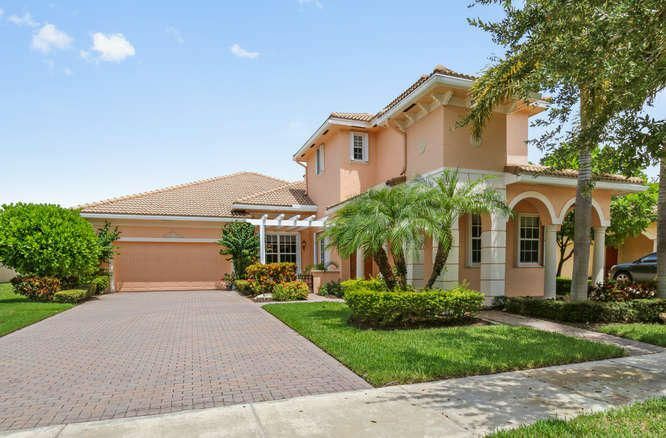 For more information on 134 Via Catalunha in Palm Beach Gardens, contact one of our dedicated Distinct Estates agents to see homes in Evergrene or in other parts of South Florida. $10k price drop on 127 Via Isabela! 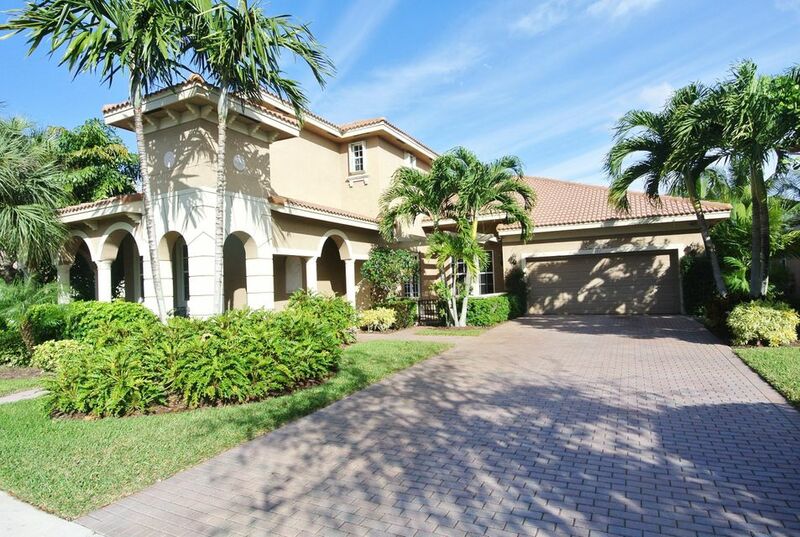 This Mediterranean style home just cannot be beat now that the price has been reduced once again! As you approach the home you are greeted by the large wrap around porch. The 4 bedroom, 4 bathroom home has been very well maintained and includes a newer AC unit, water heater, and dishwasher. The master suite is conveniently located on the first floor with a large bathroom with a soak in tub, separate shower, and dual sinks. The yard has beautiful lake views and has a great covered patio for entertaining. Paseos offers amenities such as the clubhouse and pool. Paseos is conveniently located just minutes from downtown Abacoa, great dining, shopping, and Jupiter beaches. 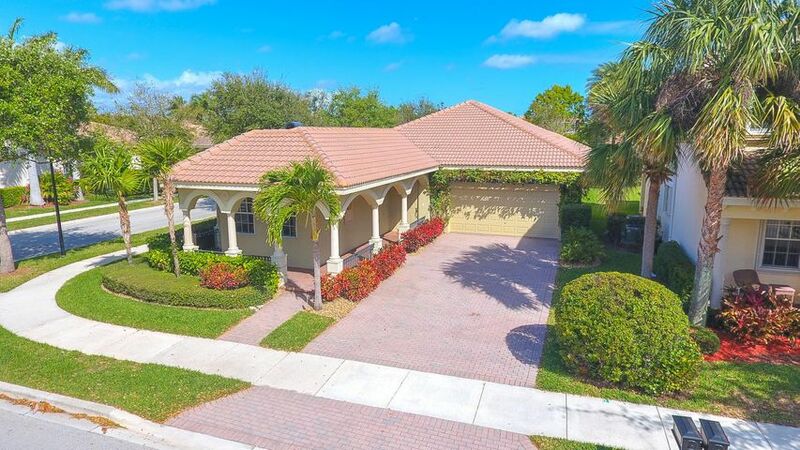 To get more information on 127 Via Isabela here in Jupiter, please contact one of our dedicated Distinct Estates agents who will be glad to show you homes in Paseos or in other parts of South Florida. This yard of the day is from 123 Via Zamora in Paseos. This yard has so much space for activities like family gatherings, cookouts, games like football and soccer, and so much more. You even have room for a pool! The large backyard will be great for a growing family or a large family. You can hang out on the shaded covered patio while the children play the day away. Other features of the home include upgraded granite counters in the kitchen, bathrooms, and laundry room, new bathroom fixtures, stainless steel appliances in the kitchen, and fresh paint on the exterior of the home. The MLS # for the property is RX-10249814. View the property. To get more information on 123 Via Zamora here in Jupiter, please contact one of our dedicated Distinct Estates agents who will be glad to show you homes in Paseos or in other parts of South Florida. 115 Via Azurra is having an open house on Sunday, September 19th from 1 to 3 PM. Do not miss out on your chance to view this amazing property! 115 Via Azurra has many desirable qualities such as the real cherry hardwood flooring and the 12 foot ceilings. The kitchen boasts custom cabinets, granite counters, stainless steel appliances, a double oven, and a large island bar that adds to the fluidity of the home. The master suite includes newly installed marble floors, walk in closets, dual sinks, a soak in tub, and a separate shower. The master also has access to the covered patio. The MLS # is RX-10261926. Be sure to check out this 4 bedroom, 4 bathroom property on Sunday, September 19th! 197 Via Rosina is a 4 bedroom and 4.5 bathroom home with a loft. The property is located on an oversized lot with a view of the preserve in the front and back yard. Some features of the home are the master suite, an office, three bedrooms upstairs, and a loft area that can be used as you please. The master suite includes two walk in closets, and the master bathroom has dual sinks and a soak in tub. The floors of the home consist of ceramic tile and hardwood. The home also includes a pool, patio, summer kitchen, and new AC unit. The MLS # for the property is RX-10264073. Do not miss out on your chance to own this home! View homes in Paseos. To get more information on 197 Via Rosina here in Jupiter, please contact one of our dedicated Distinct Estates agents who will be glad to show you homes in Paseos or in other parts of South Florida.